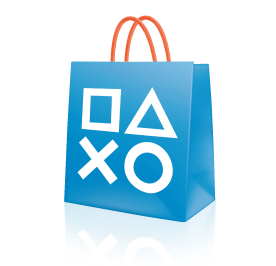 Sony's customers can once again enjoy downloadable content courtesy of the PlayStation Store. Sony promised that it'd bring the PlayStation Store back by June 4, and has actually delivered a few days early. After a 6 week downtime, the PlayStation Store is reportedly available again in all regions other than Japan, Hong Kong, South Korea. Sony was forced to shut down the PlayStation Network and the PlayStation Store after an unknown entity entered its servers. This entity still remains at large, but Sony beefed up its security as a result of the attack. Along with the PlayStation Store's revival comes a huge update that includes some of the content meant to go live while the service wasn't available. Featured is new PlayStation Plus subscriber content, new downloadable games like Bonk's Adventure, new demos, add-on DLC, Rock Band songs, avatars, videos, music, PS3 themes, and PSP Minis. Expect even more in the coming weeks, with Sony revealing another update will be ready on June 3 (tomorrow), and that next week will feature "special publishes" and users should check back daily. Unfortunately, Sony's Welcome Back program is not yet live. The program is meant to thank customers for sticking with Sony after the PSN and PlayStation Store's downtime, offering free games and a PlayStation Plus subscription. Sony says the program is in the final stages of testing and will be available soon.